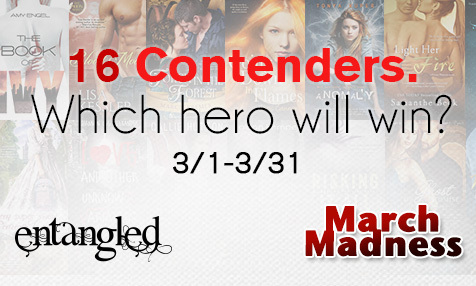 This year I’m participating in the March Madness presented by Entangled Publishing. All the participants are going to champion their favorite heroes and the hero with the most votes wins. Me? I’m championing a good-boy-turned-bad-boy, Mack Kennedy from Amy Andrews’ No More Mr. Nice Guy. Now a bit about the book. About Mr. Mack Kennedy ladies! But let’s not forget, no matter how much of a big bad wolf Mack is in the bedroom, he is essentially a good guy. And he loves Josie more than anything. His being a vet and loving animals is just another plus for him. How am I supposed to stay away from such adorableness? Mack is a caring and affectionate guy who understands and takes care of Josie’s wishes in and out of the bedroom. When he realizes that Josie wants to travel and see more of the world, he is willing to drop everything and go with her.